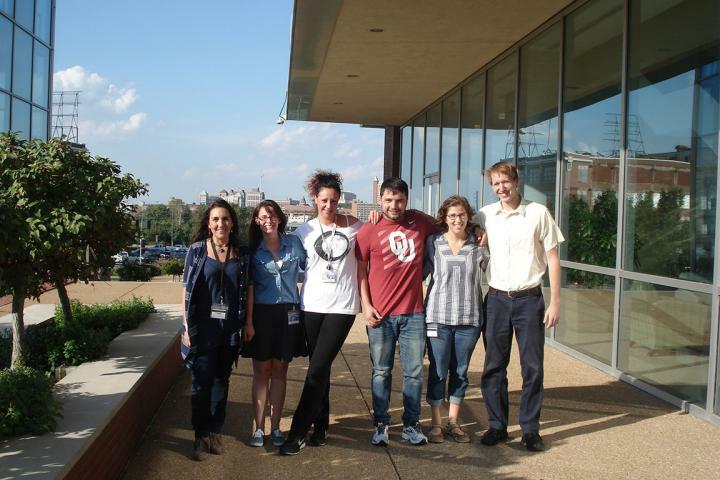 ST. LOUIS — In a recent paper published in Cell Reports, Saint Louis University researchers have uncovered new answers about why cells rapidly age in children with a rare and fatal disease. The data points to cellular replication stress and a mistaken innate immune response as culprits, and the team found success in the laboratory in blocking these processes with vitamin D.
Susana Gonzalo, Ph.D., associate professor of biochemistry and molecular biology at SLU, and her lab examined human and animal cells connected to a rare disease called Hutchinson-Gilford Progeria Syndrome (HGPS). HGPS is caused by the random mutation of a single gene that causes children to age rapidly. Children with the condition develop many of the typical changes and illness associated with aging, including hair loss, aging skin, joint abnormalities, and bone loss. The disease causes atherosclerosis — fatty deposits that clog arteries — and patients with the illness die from cardiovascular complications such as stroke or myocardial infarction in their teens. Thanks to genetic mapping, scientists now know that HGPS is caused by a mutation in the LMNA gene, which encodes for lamin A protein. Lamin A serves as a scaffold that keeps the cell's nucleus organized and in shape. The shortened, mutated version of this protein is called progerin, and it causes the nucleus and cell to become unstable, leading to premature aging of the cells. "Those with progeria have a mutation in their DNA that codes for these proteins," Gonzalo said. "The presence of progerin makes a mess in the nucleus." This is a problem because the nucleus houses our DNA. Cell health and reproduction are closely tied to our genome integrity — the ability of a cell to faithfully transmit its DNA information on to new cells. Mistakes or obstacles in the replication of our DNA cause breaks and mutations, which are linked to both cancer and aging. Research in Gonzalo's lab revealed that replication stress is a key cause of the underlying DNA damage accumulation found in the cells of those with HGPS. Replication stress occurs when the machinery that replicates DNA encounters obstacles along the way that makes replication to stall until the obstacle is removed. Normally, our cells have in place a number of strategies to address these obstacles and then successfully continue with DNA replication. In the case of those with HGPS, however, Gonzalo found that progerin causes these strategies to falter. Replication stress can derail a cell's ability to reproduce. Gonzalo and her team discovered two new mechanisms by which progerin causes damage. First, progerin induces the stalling of the replication machinery, and at the same impedes the proper protection of the newly replicated DNA. This results in DNA being preyed upon by nucleases, which degrade the newly synthesized DNA with the consequent loss of genetic material. They also found another way that progerin causes cell toxicity. Scientists know that DNA damage and replication stress not only underlie the genomic instability that drives aging and cancer, but that they also contribute to activate inflammatory responses. "When DNA fragments leak outside the nucleus into the cytoplasm, the cell recognizes that material as something foreign," Gonzalo said. "This activates a series of immune responses. In particular, a signaling cascade known as the interferon response is activated when the cell thinks it senses a viral or bacterial infection that needs to be fought. "We found that this is happening in progeria cells, and it is contributing to cellular decline." After demonstrating that progerin elicits replication stress and nuclease-mediated degradation of newly replicated DNA, and that it activates an interferon pathway, the team wanted to see if they could reverse these problems. They found that when they used compounds, including vitamin D, to reduce replication stress and interferon response, cellular fitness improved. "When we block this pathway with vitamin D, it rejuvenates the cells," Gonzalo said. "The immune response is activated by progerin and then it is brought back down by vitamin D.
"We saw that vitamin D reduces significantly the toxicity of progerin in cells from HGPS kids." Gonzalo hopes that her research not only will help in the eventual development of new therapies for those with HGPS, but that it also will explain many of the processes that underlie normal human aging. Other authors on the study include Ray Kreienkamp, Simona Graziano, Nuria Coll-Bonfill, Gonzalo Bedia-Diaz, Emily Cybulla, Alessandro Vindigni, Dale Dorsett, Nard Kubben and Luis Francisco Zirnberger Batista. Palm trees are spreading northward -- how far will they go?